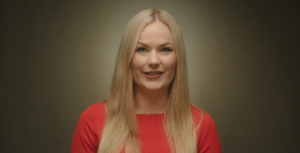 You may recognise Siobhan from our Skintervention video. Here you can learn a little more about her. Siobhan is 25 years old. She is smart, chatty and vivacious. You would never know that she has had a difficult time with her health, until you notice the scar on her arm. You then begin to notice that she always wears a wide-brimmed hat and sun glasses when she goes outside and always remembers to wear sun screen. When she was 20, Siobhan saw what she thought was a bit of chocolate on her arm. She tried to wipe it off but it wouldn’t go away. She then realised it was a new mole. Initially she was confused as to where it came from, because it was new and darker in colour compared to all the rest of her moles and freckles. However, she knew nothing about melanoma or skin cancer, and did not think that it was anything sinister, so she did nothing about it. It was only a year or so later, while she was living in Canada with her boyfriend that her mum noticed over Skype that the mole was beginning to change and grow. Her mum started to encourage her to go to the doctor. Siobhan kept putting it off but eventually, when her mum kept at her, Siobhan decided to Google what the mole on her arm could be. It was at that stage that she realised that it could be serious and she booked a GP appointment. The GP sent her to a consultant dermatologist who said that he was going to remove the mole just to be safe. It was when the mole was removed and sent for testing that Siobhan discovered that it was melanoma, the most serious form of skin cancer. She then went for a wide local excision, where the whole of the mole and some surrounding tissue is removed. She also had a lymph node biopsy to make sure the cancer had not spread to other parts of her body. 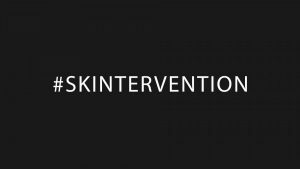 Siobhan is now helping the Marie Keating Foundation to launch a Skintervention, reminding Irish people to look after their skin by being SunSmart. She also hopes that people will check their skin regularly to look for the ABCDE signs of melanoma.